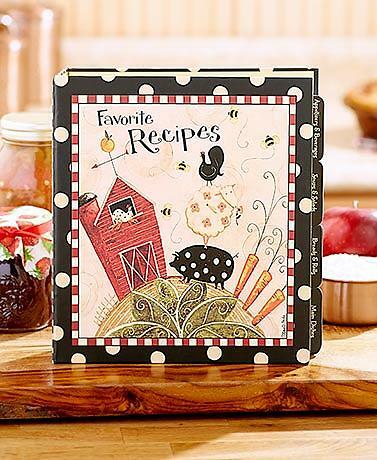 This cute binder has a farm theme on the front. It is a hardcover 3-ring binder divided into 12 labeled sections. The inside cover features an emergency substitutions list as well as meat temperature and measurement guides.